Martin Juneau’s Pastaga in opened in 2012 to immediate acclaim in the hot Montreal scene, earning a coveted #5 position in the enRoute Magazine’s prestigious Best New Restaurants in Canada. Additionally, Martin won Gold Medal Plates (Canada’s national culinary competition) in 2011. Come see and taste Martin’s passion for natural (no additives) wines and his regionally inspired menu with samples of food from the Pastaga menu. Martin Juneau is well-known on the restaurant circuit for his ever-changing list of accolades. In 2011, Marting won the Canadian Culinary Championships, Gold Medal Playes, before becoming a judge on the Québec Masterchef-style reality-show Et que ça Saute! for two seasons. Proud of his Québec culinary tradition, he was the ideal choice to host Les Prix Juneau in 2014, where he traveled the roads of the province in search of the best classic recipes. His latest show with Steven Raichlen, La Tag BBQ, is now airing weekly. And that’s not all! He’s also a restaurateur. 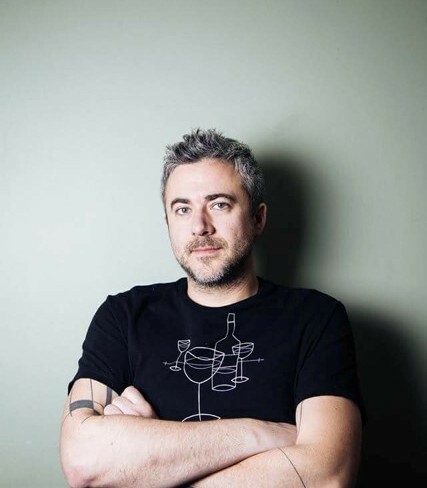 In 2012, Martin and his business partner, Louis-Philippe Breton, opened their award-winning restaurant, Pastaga, named fifth best new restaurant in Canada by EnRoute Magazine. In their the up-and-coming neighbourhood of Mile-Ex, the two promote natural wine, in the spirit of purity and quality, to go with the simplicity of the food. The duo recently opened an ice cream truck, Mr. Crémeux, a neighbourhood grocery store called Le Petit Coin (a perfect hybrid between the small French market and a general store there once was in Québec) and CUL-SEC (the first real caviste in Montréal).